While DUIs represent a major safety concern for our roadways and drivers, many DUIs truly stem from truly well-meaning individuals who did not realize that they just tipped over the legal limit. Perhaps you indulged in that extra glass of wine at dinner, or simply did not give yourself enough time between your last drink and driving. 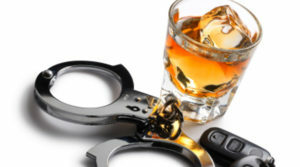 However, our laws take a very severe stance toward DUI offenders, which is why you need to hire the best DUI attorney, like one of our associates at Doyle Schafer McMahon, LLP. We understand that, when you are charged with a DUI, you want answers now, which is why we encourage you to contact us immediately at (949) 727-7077 for a consultation. For example, most new clients want to know how much to hire a DUI attorney, because they need to plan for the immediate financial impact on their situations. Others want to know worst case scenarios so that they can mentally and emotionally prepare for the months to come. The possible outcomes of your case depend on several factors, but we approach each and every client with the belief that they deserve a defense that exhausts every option for an ideal resolution. Rather than waste time pouring through search engine results that do not pertain to your situation, your consultation with us will provide you all the relevant facts and outcomes that directly apply to you. We know that a DUI charge creates severe stress for our clients, as well as the concern of public stigma from family and friends. We want you to know that our associates will strive to give you the care and support you deserve, and empower you with information. If you want to find an experienced DUI attorney in Irvine, CA, know that our team is here for you. Let us help you get past this so that you can move on with your life.